HORNBY ISLAND, B.C. – A local group is continuing its efforts to shut down a herring fishery off the coast of Vancouver Island. The Department of Fisheries and Oceans recently announced that it is forging ahead with its March herring fishery, despite protests from environmental groups. 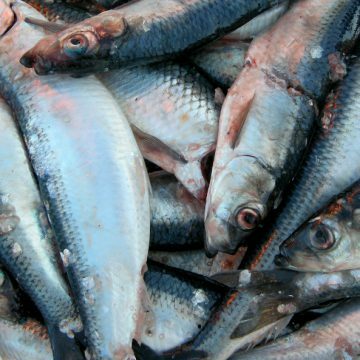 According to the DFO, The 2019 fisheries management plan for Pacific herring has been approved following a public consultation and comment period. The DFO says this allows a commercial total allowable catch (TAC) across all four fisheries (roe gillnet, roe seine, food and bait, and special use) of 28,400 short tons in the Strait of Georgia. But the decision to go ahead with the fishery has been met with opposition from a number of groups, including Conservancy Hornby Island which launched an online petition on change.org. As of early Monday evening, the petition, Say NO to the Pacific Herring Roe Fishery, has drawn 49,153 signatures. Scott said Conservancy Hornby Island members are meeting the DFO next week, to push for a moratorium. Scott said that the DFO grinds up 100 percent of the males and takes the roe out of the females, and the carcasses go to feed the stock in fish farms and is also used for pet food. With HerringFest scheduled for March 7 to 10 on Hornby Island, the group will continue to push for a moratorium on this fishery, according to Scott.